The collision took place on the R132, close to Pavilions Shopping Centre roundabout. 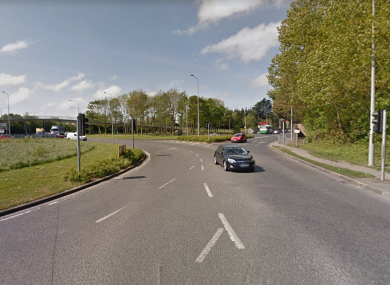 GARDAÍ ARE APPEALING for witnesses to an incident in Swords after a pedestrian “sustained serious injuries” after being hit by a car. The incident took place at around 9am this morning on the R132 road in Swords. It occurred on the northbound side, close to the Pavilions Shopping Centre roundabout. The 22-year-old woman was taken to Beaumont Hospital with serious head injuries. Gardaí closed the road for a full forensic examination before reopening it this afternoon. Witnesses are asked to contact Swords Garda Station on 01 666 4700 or the Garda Confidential line on 1800 666111. In particular, they are looking for film footage, and are asking drivers and cyclists who were using devices like dash cams or Go Pros to get in touch. Email “22-year-old woman sustains serious injuries after being hit by a car in Swords”. Feedback on “22-year-old woman sustains serious injuries after being hit by a car in Swords”.